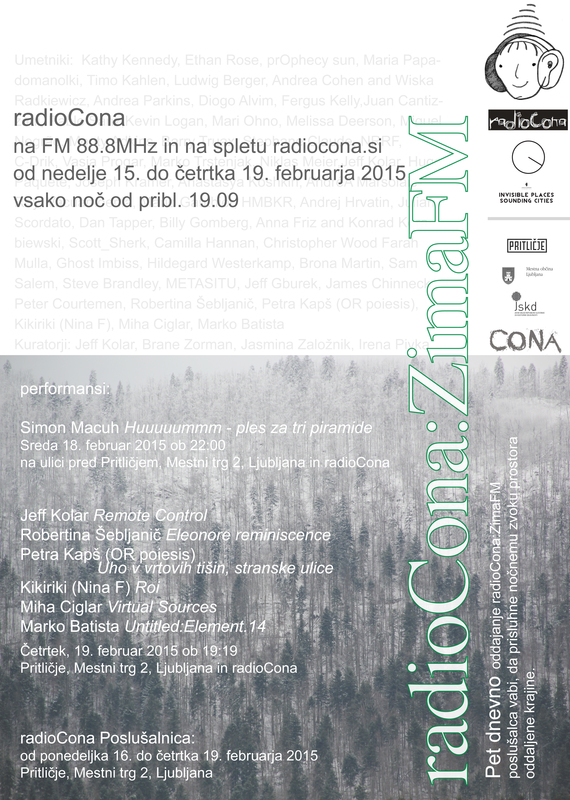 Radius and radioCONA unite to present zimaFM (winterFM), which brings together works that combine the medium of radio with a winter landscape, with a special focus on nighttime. The broadcasts will occur for five consecutive days beginning at nightfall on Sunday February 15 through Thursday February 19, concluding with a night of live performances. In addition to the FM broadcasts, the will be a ‘listening hub’ installed at the concert venue, Pritličje, which will serve as a way for folks to listen to all of the work during non-broadcast hours. I am very pleased to know my work will exist in this context. Music about home so very far from home.